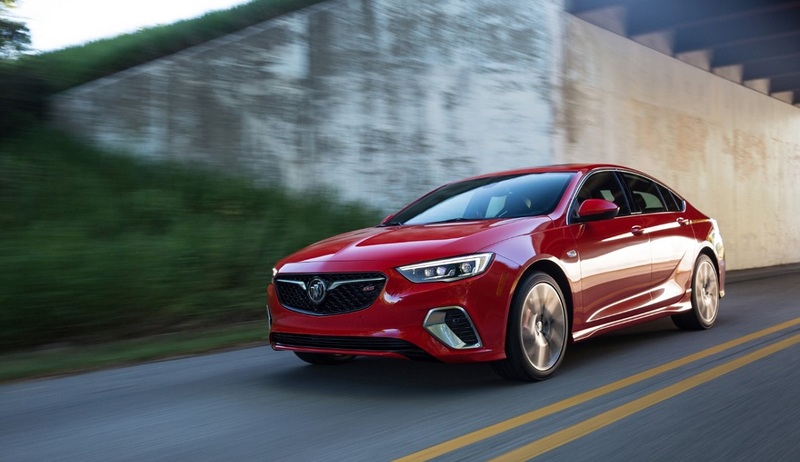 Where spirited driving meets attainable luxury and sleek, sporty design meets modern usefulness, you’ll find the 2018 Buick Regal GS – a car for commutes that are anything but common. As the brand’s most dramatic expression of design and dynamics, this all-new model balances these key characteristics to provide customers excellent driving performance every day and in every season. The 2018 Regal GS advances the nameplate with 51 more horsepower than the model it replaces, more refined transmission and AWD technology, all-new, heated/cooled and massaging performance seats and the added functionality and style of a five-door sportback design. Starting at $45,495 with destination, the Regal GS offers luxury features at a price more attainable than competitors from Acura, Audi and BMW. Buick’s most advanced new propulsion components come standard on the new Regal GS. With 310 horsepower, its refined 3.6-liter V-6 provides more power than an Acura TLX A-Spec or a Lexus IS350 F-Sport but offers seamless auto stop/start technology and can cruise on four cylinders for increased fuel efficiency. The V-6 engine is complemented by a sport-tuned dual exhaust system. Regal GS’ intelligent AWD system with an active twin clutch can precisely transfer torque between the rear wheels for more refined and efficient performance, and the GS receives the first nine-speed automatic transmission in the Buick lineup that’s mated to AWD. This advanced new transmission will soon be offered across four different Buick models. Every Regal GS also features Buick’s Interactive Drive Control, allowing the driver to tailor the car’s dynamics based on different drive experiences through a standard setting or Sport and GS modes selected via the centre console. Interactive Drive Control utilizes Buick’s second-generation Continuous Damping Control (CDC), which is able to adjust suspension damping up to 500 times per second. Versus a standard 2018 Regal Sportback, the GS also offers standard Brembo brakes for more confident stopping power. The 2018 Regal GS offers a cohesive and connected infotainment experience with an 8-inch touchscreen and 8-inch reconfigurable instrument cluster as standard equipment. Apple CarPlay and Android Auto compatibility both come standard. A full-colour head-up display is available with an optional Driver Confidence II package that also includes several safety features including Front Pedestrian Braking, Lane Keep Assist with Lane Departure Warning, Forward Collision Alert and Adaptive Cruise Control with Forward Automatic Braking.